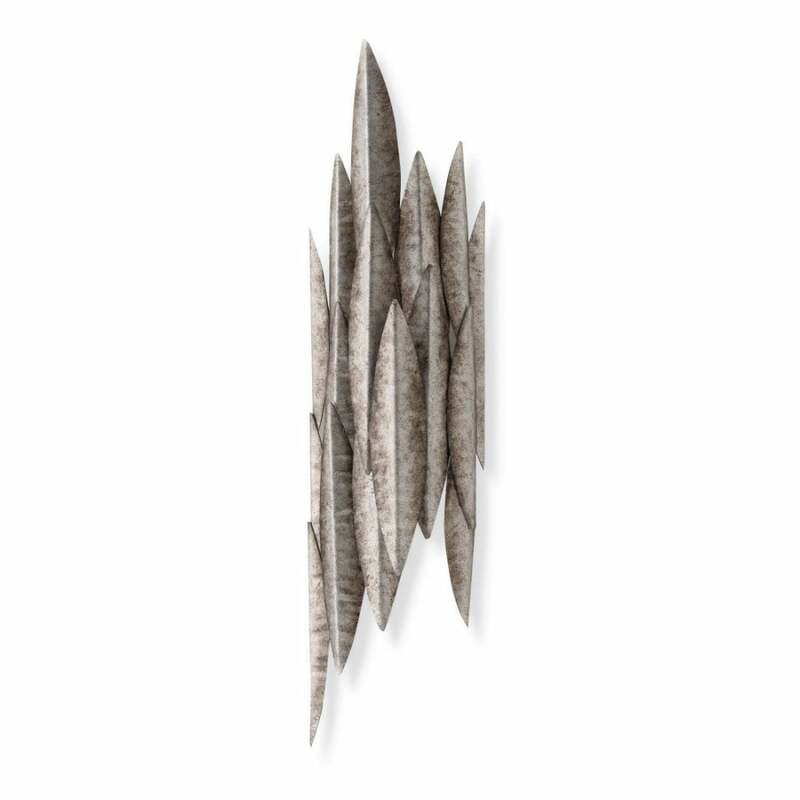 Uber dramatic yet smaller than the large Leaf, this piece has been designed to add maximum impact to smaller spaces. Contained in the Photon Collection, each metallic leaf is hand cut and shaped. Light with halogen lamps, it creates shadowed and dramatic lighting effects.